Q: I've heard software development shops talk about various methods--"waterfall," "agile" and "scrum"--for building apps. What's the difference? Choose wisely: Kim Heldman, senior IT director for the state of Colorado, says app-building methods can make or break your project--so do your research. A: Be assured, the developers who use scrum aren't billing you for a daily rugby match to help brainstorm your product. In this case, the term describes one of more than a half-dozen software development processes used to organize a project's work flow. And whether you need an e-commerce site for your T-shirt startup or a smartphone app for your pizza delivery business, you should decide on the approach to development that addresses the requirements, design, production, testing and deployment phases of the software in a manner that works best for your management style and, ultimately, your business. 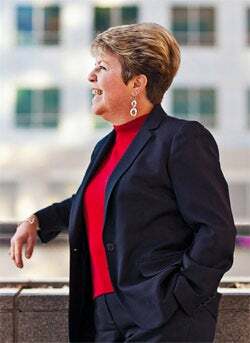 According to Kim Heldman, senior IT director for the state of Colorado, choosing the right methodology for a development project can spell the difference between rapid success and drawn-out failure. Heldman suggests focusing on the three most popular development processes: waterfall, agile and scrum.